If Kieran Tierney is at all frustrated by being played out of position by Scotland, he does an excellent job of hiding it. 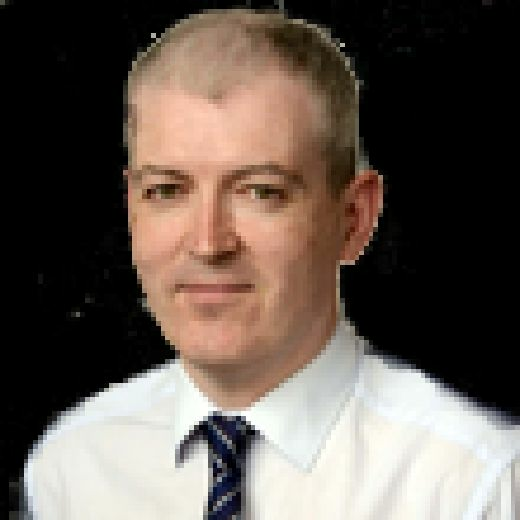 His deployment on the left of a three-man central defence by Alex McLeish, while Andrew Robertson is handed the left wing-back role, was inevitably top of the agenda when Tierney faced the media yesterday. Kieran Tierney has been pushed into a central defensive role so that Andrew Robertso can play left back. Picture: SNS. There can be little doubt that the 21-year-old would prefer to play at left-back, where he has forged his reputation in such impressive style at Celtic. personified when discussing the issue, falling just short of paraphrasing John F Kennedy’s famous inauguration line of “Ask not what your country can do for you, ask what you can do for your country”. Tierney will win his 11th Scotland cap in tonight’s Nations League opener against Albania at Hampden, with McLeish determined to stick with the system which was dissected in the 4-0 friendly defeat against Belgium on Friday. “Of course it’s different,” said Tierney. “At left back, you have the freedom to go up and down all day – especially if you’re a wing back. But I’ve played in a back three a few times. I’m not overly familiar with it but I’ve played at centre-back a few times – right back a few times too. “When you are training every day, you pick up new things. You are watching the centre-backs and what they do. I’m learning every day. The bottom line is I do my best – and I’m not bothered what position I play. “I’m still very young and I like that the manager trusts me to go to centre back and play my game. I’m grateful to be on the park. “We played that formation for the first time the other night and it’s not going to be perfect right away. We’ve had a week of it in training and we’ll get better and better at it. We’ll work on weaknesses and improve. “I don’t know if that’s why the manager has changed the formation, just to get me and Andy into the team. But I’m grateful. Even if I’m on the bench, I’m going to be giving 100 per cent in training every day and hope for the best for the country. That’s what matters – what is best for the country? 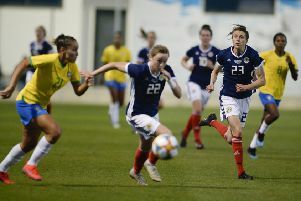 Tierney was played at right-back six times by Gordon Strachan, to accommodate Robertson’s inclusion at left-back, during the 2018 World Cup qualifying campaign. Versatility can be an asset for any player but he admits it is difficult to curb his attacking instincts when he operates on the left of a three-man defence. “It’s a massive part of my game, going forward,” he added. “So, of course I’m going to miss that. But I’m also a defender. At centre back, you are defending a lot more. It’s a defender’s first job. “You do have to check yourself when you feel like getting forward. I’ve done that a few times – with Celtic as well as Scotland. I got moved in there for Celtic for some games, bombed forward and then thought ‘Oh, hang on, that’s not my job, I need to tuck in and protect’. As I say, it’s about learning. Every game of football I watch, I keep an eye on my position and where you’re going to play. Our gaffer mentioned to me the example of Kyle Walker with England. He was a wing-back who went into centre-back and did excellently at the World Cup. The high profile enjoyed by Robertson over the past 18 months as he has flourished at Anfield was further enhanced by his appointment as the new Scotland captain last week. Tierney was one of the contenders for the post, having been handed the armband by interim boss Malky Mackay for last November’s friendly against Netherlands at Pittodrie. But he has no qualms with McLeish’s decision to make Robertson the skipper. “Andy deserves to be captain, I’m delighted for him,” said Tierney. “I never thought I would get it. It was a very proud day for me to be captain against Holland, when Malky gave me that honour.